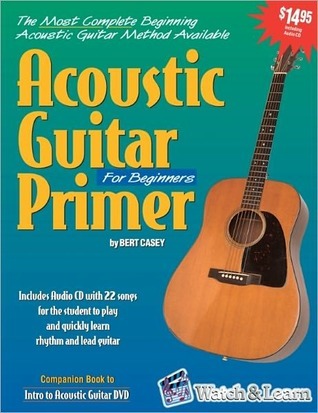 One of my very first guitar lesson books. The emphasis is on the acoustic folk genre of guitar, it helps to like the type of music. The lessons are organized in a manner to not only get the student to play rote songs, but to learn enough basic technique to rather quickly improvise and join in with other musicians who jam in acoustic bluegrass or folk.